When Melissa Smuzynski learned that she was expecting, she wanted a nursery that reflected her family’s love of travel. But when she and her husband, Damon Lane, went shopping for appropriate decor a few years ago, they didn’t find much. So they improvised, using luggage tags and airmail envelopes to create wall hangings. 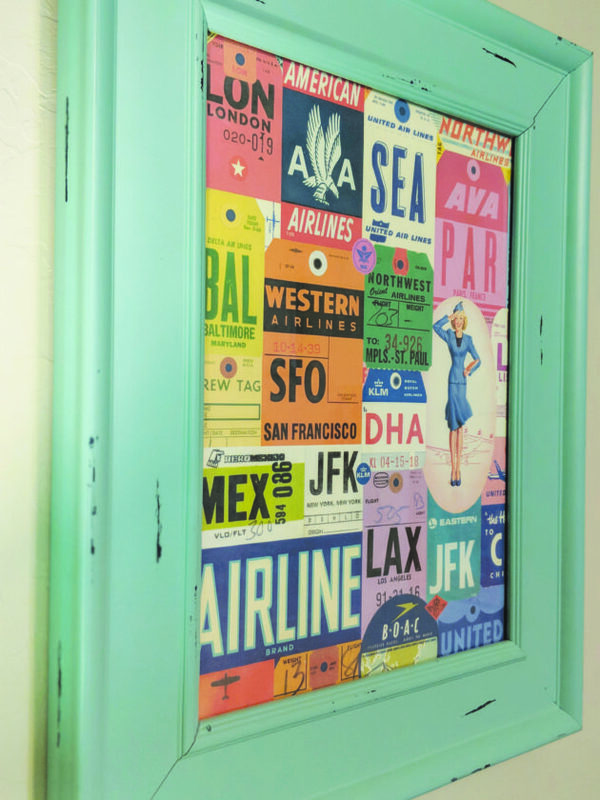 They found a fun suitcase to display in the room, and decoupaged a table with maps and travel-oriented scrapbook paper. The look came together pretty easily and inexpensively, said Smuzynski, who gave birth to daughter Avery in February 2015. In just a few years, the trend seems to have taken off. “When I go into Hobby Lobby, there’s an entire section that looks exactly like her room,” said Smuzynski, of Oklahoma City. Many interior decorators, home goods manufacturers and trend spotters have embraced the travel theme. Some people decorate with pieces they bought on vacation or that remind them of past trips. Others simply go to the store for furniture, lighting and other elements that evoke the look and feel of places they’ve visited. It’s all part of a trend toward making decor personal and customized, said Donna Garlough, style director for Wayfair, an online home goods store. “These days, people crave homes that speak to them and their interests rather than one that was decorated in one fell swoop. And travel is one of those things that can really shape you, so it’s no wonder people want to reflect their favorite memories and destinations in their home’s decor,” said Garlough, whose book, “Your Home, Your Style” (Rizzoli USA), will be published this spring. Laura Casey of Laura Casey Interiors in Charlotte, North Carolina, designed a dining room inspired by a zebra photograph that clients had purchased during a trip to Africa. She incorporated complementary colors, textures and patterns, using Moroccan-inspired tiles to help the room feel travel-inspired and eclectic. Wall hangings are an easy way to add travel elements to a room, Casey said. Consider framing one of your photos or buying a print or art piece while traveling, she said. Souvenirs are an obvious way to reference your travel, said Danielle Whitburn, a freelance writer for Home-Designing.com. But there are other options, as well. “I love pieces that make a subtle nod to another place or memory — a bicycle bookend that reminds you of riding by the shore, for example, or a pillow that reminds you of the color of a certain lake or sea,” said Whitburn, who lives in Auckland, New Zealand. Of course, it’s also possible to achieve this look without ever leaving home. Moroccan leather ottomans, Persian rugs and Mexican artwork are distinctive elements that evoke a sense of place and can be bought online or at a store, Whitburn said. As for souvenirs, today’s travelers often have a more global approach than in the past. “As travelling increases (in) popularity, we are seeing more pieces outside the traditional tourist haunts in Europe and North America,” she says.